Write to Play is Graeae’s flagship writer development programme, cultivating and championing Deaf and disabled playwrights nationwide. When Write to Play was just a germ of an idea it was fuelled by a need – for the larger theatre ecology to acknowledge, develop and produce work that was written by D/deaf and disabled writers. The hope was to bridge a gap – for the writers to experience expertise from leading new writing organisations in developing their craft, and then for this investment to go full circle and start to create change in culture and in practice. 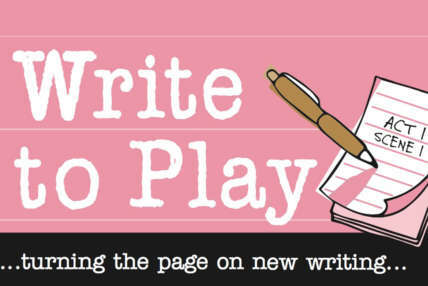 The first year of Write to Play launched in London in 2013. Since then it has toured annually to the North East, North West and is soon to hit the Midlands. Writers will have the opportunity to take part in a two-week placement at one of Graeae’s partner organisations, allowing writers to expand their network and skills base. There will also be opportunities to see new work at our partner organisations across the year. Write to Play is a paid opportunity. Each writer gets a fee of £1800 (paid in instalments) for their participation on the programme. Expenses related to participation, such as travel and accommodation, are also covered by the programme. All access requirements are met, including sign language interpreters and access support workers, and the programme structure and content can be adapted for access purposes if required. Write to Play graduates have gone on to write for theatre and television, secure commissions and agents, lead writing workshops, and develop theatre companies of their own, among other things. As well as developing individual writer talent, the programme also introduces a new generation of D/deaf and disabled playwrights to the wider theatre landscape, leading a network of theatres across the UK to engage D/deaf and disabled playwrights, directors and actors through accessible development programmes and work. The Write to Play programme is funded by the Esmée Fairbairn Foundation, Awards For All, Backstage Trust, Noel Coward Trust, John Ellerman Foundation and Charter 600. Write to Play: Calling all BAME D/deaf and disabled writers! Applications have now closed for the fifth year of our Write to Play programme, for BAME writers who identify as D/deaf or disabled. Part of the Write to Play scheme is two weeks of placement at one of the theatres involved. One week of mine was to be at Live Theatre situated in the city of Newcastle near the quayside of the river Tyne.